Our inimitable friend Andy Ihnatko is no longer with the Chicago Sun-Times, but that doesn’t mean that he’s given up writing in favor of podcasting. His latest piece — for Fast Company — examines what might happen if the rumors surrounding Apple developing its own CPUs for Macs prove to be true. Such a move has a fascinating set of logical consequences to follow, and Andy takes you on a tour of the possibilities. We likely wouldn’t see purpose-built Apple CPUs in Macs for several years, and probably not in all Macs even then. But it’s easy to see Apple wanting to take nearly full control of the platform in this way. Maybe the timing of the leaked Leakers memo is related to this. From what I read, it appears most are saying this might be for “non-pro” systems… but I seriously doubt that. The ONLY actual reason I can think of why we have to wait so long for a expandable machine must be because it’s going to signal a major shift away from Intel CPUs. What would the reason for this be though? The argument for the low end ones is because Apple is better at low-power performance. Is Intel failing to provide enough power on the high end? My speculation is mostly based around the pro machine history… certainly in the first year after they brought out the trashcan, they knew how widely they missed the mark. A year ago they actually said they blew it, but at that time they knew well what the market wanted, expandability. They also well knew of the whole hackintosh “industry.” I see no reason why we have to now wait ANOTHER year for what they knew pros wanted 5 years ago. Why so long? I think 98% of the reason is they want to go all proprietary chips, stem to stern. Shoot down the hackintoshes… maybe not the primary reason, but certainly significant. I fully expect 10.14 to be the end of the line for the cheesegraters, arguably the best machines they ever made <side rant, lol>. This has been covered in great bdepth by many people smarter and more informed than I, but the idea that Apple could “just put some new pro hardware in an old cheesgrat” fails with only the slightest bit of consideration. Believe it or not (and like it or not) Thunderbolt 3 is in pretty much every way a far superior technology that ever connector on a Cheesegrater Mac Pro form 2010. It is not one much faster, but it also allows much that was simply not possible int eh past (eGPU for one). Apple is looking at a brand new way of thinking about the Mac pro, and if you do no want to wait they have the iMac pro currently which is a phenomena machine. But, all these rumors about Apple “abandoning” x64 processors is not just rumor, but it is MISREPORTED rumor. the rumorr as reported says nothing like this :Apple will release ARM Macs". Honest, go read it. It says, and remember, it is a RUMOR, that Apple is planning to put its now chips in Mac by 2020. Now, this is not new, Apple has been putting its own CPUs in Macs since the Touch Bar Mac Book Pro. And the iMac pro include an Apple CPU. News? No, not news. And even if the rumor said, and it did not, that Apple would only be putting their own CPUs in the Mac, they could quite possibly be planning their own series of x84 compatible chips. Remember, the current “Intel” chip design for 64bit CPUs, in the linux world, referred to as amd64 because int is AMD’s version of 74 bit we use, not Intel’s (the failed Itanium). So it is possible that Apple will be making its own x85 CPUs instead of sourcing hem from Intel. Intel, like Motorola.IBM before, has their own roadmap that does not at all fine with Apple’s needs, and that divergence gets more and more obvious every day. This does not mean (and no on is saying it does) that Apple will be moving to ARM-based Macs. Is it possible? Well, technically I suppose it must be possible but it seems extremely unlikely. What seems far more likely is a machine with an amd64 *(x64) and a lot of Apple ARM chips that all work together to provide maximum power with mini battery use and fantastic compatibility. The first RISC-processor I ever came across was in the Acorn Archimedes, which became ARM the company, and ended up being acquired by Apple. It was the startup time which impressed. Back in 1990 it was like turning on a light switch as opposed to the ‘go make a cup of tea’ duration of most computers. The glacial pace of Mac hardware updates always seems to end up being in sync with the pace of processor updates from whichever supplier. Andy makes a number of good points in the article, mainly that iOS devices and lower end Macs are pretty close to equivalent at this point in terms of power. It makes a certain amount of sense to see a unified Hardware/OS platform based upon ARM/iOS provide a continuity across these. Especially given that Apple excel at the “serve 80% of users 80% of the time” principle. The definition of Pro continues to have relevance as a discussion and if anything all the recent speculation has resulted in the acceptance that Pro is a diverse community with multiple aspects to it. Also that they are a very important community which continue to be vital to Apple. Difficult to see higher end users dealt with satisfactorily within the current or near future possibilities of an ARM/iOS platform. I don’t know what happens to anyone else but I know I will be doing, actually its more the opposite, I know what I won’t be doing. This time around I won’t be chasing that rabbit down the rabbit hole. I’m going to leave that for others to do. I’ll be firstly doing nothing which will more than likely be followed by a switch to Windows. To be clear, I say this as a user and own of Macs since 1987. Unless Apple plan to offer x86 instruction set compliance, maintaining BootCamp and virtualisation products, all the change in processors will do for me is to take things away, add complexity and to cost me money. All for what exactly? To stop hackintosh market which is in a product space that I will never buy in. A hackintosh market that wouldn’t even exist if they didn’t have their heads so far up their own backsides to realise that all they needed to do was to release a Mac Pro that people want to buy, or at least be prepared to pay for. Instead they did nothing. It’s not like people that go down the hackintosh road aren’t buying product and components that isn’t readily available to Apple. All I see is Apple wanting to play with emojis and regale in their own magnificence. Sorry, but they can do that without me as I have better things to be doing. I feel ya Vortex (as the young 'uns say these days! ), AND I go back farther than you (my 128 bought in 4/84 was a 512k, 10MB internal HD machine by 9/84). The really scary prospect for me is something blows up on my 5,1 motheerboard that can’t get fixed. And frankly, being long retired, I’m not really looking for some high end, video rendering monster, I just want a computer running OS X where I can change out various parts as newer tech come to those parts. The sad fact is that going hackintosh may the THE only way to get to my goal. AND I DO believe I’m not so much a one of with that opinion, I think a very large part of their base is right there. The added value of the intel macs for me is the fact that I can support windows, linux, macos, and a few other exotics on one machine. This makes it extremely easy for me to do my job of supporting the hodgepodge of hardware and software that makes up our school district. It also makes it extremely easy for me to develop and test projects for different operating systems and different versions of the same operating system. Granted virtualization doesn’t get me all the way there all of the time (sometimes you just need a windows box) but most of the time I never have to leave my mac. If Apple changes their processor and completes the transformation of MacOS into iOS, that pretty much destroys my holy grail of having one truly multi-purpose computer, and my reason for preferring Apple hardware over others. I love my iPad (I hate the limited repairability though), but I’m sorry, it’s not a computer, and iOS is no substitute for a real operating system. Even after a decade of development it’s still too clunky and too restrictive. At most (if this isn’t blatant misreporting? ?†) its a bluff to renegotiate volume pricing. Assuming Intel are dumb enough to fall for it… which is how likely? Not sure it’s any harder to make than competitive mobile silicon…the latest Awhatever in the iPad benchmarks pretty similar to some of the desktop chips. I can see a lot of advantages to Apple making their own chips…they control the whole enchilada for one. Add in they can optimize the chips for what they need instead of what Intel wants to sell, they have the roadmap, and the ability to include things similar to the Secure Enclave in the iPhone and there’s a lot of pluses there. There are also minuses of course…mostly the R&D expense required. Might even improve security slightly…especially if they didn’t sell the chips outside of Apple’s product lines and made it impossible to rip the chip out of a Mac and boot other than Apple’s OS. Of course…they could also introduce bugs that could be exploited…but hopefully Q&A would find those before they released the chips to production. I have no idea whether they’ll dump Intel or not…it wouldn’t surprise me either way. Think about this “Add in they can optimize the chips for what they need…” Where are we, the customers? Problem is there WAS a time when they actually cared about what I/we wanted/needed. Now, it’s ONLY about the benjamins. Manufacturing their own chips could save Apple a bunch of money and greatly increase their already ginormous cash pile. Having a unified platform could be an advantage for developers, especially as VR and AR start to become as important to consumer and business applications as predicted. And the ability to write apps that could run across Macs and iOS devices would be a good thing. If I remember correctly, Apple began manufacturing chips for iOS devices to improve battery life. This could be a big benefit for MacBooks and Pros. Smaller, lighter, faster Macs would be a good thing. I’ve been dragging MacBook Pros around on public transportation for many years, and I swear they about double in weight by the end of the day. Occasionally I have had to keep on a desperate lookout for a seat near a plug at Starbucks. At most (if this isn’t blatant misreporting? ?†) its a bluff to renegotiate volume pricing. Well, its an interesting way to bluff. The reason is that while Apple may make statement to Intel, they’re also making statement to the the people that buy their products and who give them money. Essentially, the statement I hear is “don’t rely on what you have today to be around in the near future”. The result of that is I will make preparations for that time. Oddly I have already made preparations for it however it was due to different reason. There’s no way I’m happy to accept Apple’s typical “5 steps back to make maybe 5.5 step forward 2-3 years later”. F&$# that [email protected]*^!!! The fact of the matter is that I have no belief that Apple will choose to act in a way that’s right for me. Now that I’m primed and prepared for a change the conditions to bring about that change are significantly different, and more importantly significantly lesser to the point it probably won’t even be a speed hump. So when the time comes I may well think to myself that rather than spending $US3000 on that computer (of which I have 2) I can spend half that so that I can buy something else that I want. And then that trio of products (Mac, iPhone and iPad) essential to pinning to Apple is broken. As I don’t have iMessage on my computer what need of iOS do I have? I can cave and use WhatsApp else something like Signal. At which point I can buy a $400 Android phone instead of a $800+ iOS phone. Still a long way from the price of buying the first Mac. While I would say the iPad is far superior than what else is out there, exactly what iPad mini is there for me to buy exactly? It’s not like I’m going to care to buy a well outdated iPad mini 4. Now that I’m here… exactly why would I then continue with Apple Music as I would then have to deal and suffer with Apple’s Windows and Android products. I really don’t think so. I pay for Office 365 which gives me a 1TB with OneDrive… Apple’s 5GB of iCloud and the need to pay for more disappears with all the rest. So can you see how a “simple bluff” can quickly cascade in to some significant loss of revenue… especially given my choices influences the choices of others who choose for more than themselves. I have no idea if this will actually happen or not. But I do question if it’s the kind of thing Apple should be spending time worrying about. This is no longer 1998. CPUs are plenty fast for 99% of the tasks. Battery lifetime of a modern MBP is approaching a full day of work. Sure, having 30 min more battery life or finishing a job 3% faster is nice, but it’s not the thing I would have changed about my MBP first if I could (that would be weight, LTE, inexpensive/versatile connectivity, and yes, price, but most importantly, software, i.e. macOS). Even if performance/battery life were the things I’d want to see Apple focus on, in a present-day MBP the CPU is not the right place to realize those improvements. If you want more battery life, the screen is where you’re most likely to really make a dent for the 99%+ users that use their notebooks as something other than a pure number crunching workstation (where you can turn off the screen). The memory and storage bandwidth (remember when you switched HDD->SSD?) is where you’re likely going to make a much bigger impact in the time to get a task done for most of the user cases of a modern MBP. IMHO if Apple wants to make better Macs, circumventing Intel by rolling their own is not a time-efficient and conducive strategy. I’d much rather see them focus on making better high-res but low-power screens, making connectivity easier and cheaper, but primarily on the software side, in other words advance macOS. I’m sure that will lead to a substantially better user experience in a fraction of the time and at a lower budget than trying to out-do Intel or AMD at x86 (for a MBP that is, not talking about iOS). Most probably Apple is moving away from Intel because Intel can’t produce chips that can efficiently and effectively power the devices they have planned for the future. I strongly suspect that all the content stuff they are developing, as well as the VR/AR apps they are encouraging developers to write apps for, will require more than Intel might be able to deliver. And manufacturing their own chips will add to Apple’s bottom line. So I don’t think this is a bargaining chip or an if, it’s a when. And the when will happen soon. And LTE is on deathwatch. Within the next few years 5G will take over, and everything will be different. People are using their mobile devices and personal more and more, and for more applications that demand more processor and battery power. the screen is where you’re most likely to really make a dent for the 99%+ users that use their notebooks as something other than a pure number crunching workstation (where you can turn off the screen). Apple is also thinking IOT, driverless cars, and probably new entertainment and mobile devices that are still in the top-top-top secret phase. This is no longer 1998. 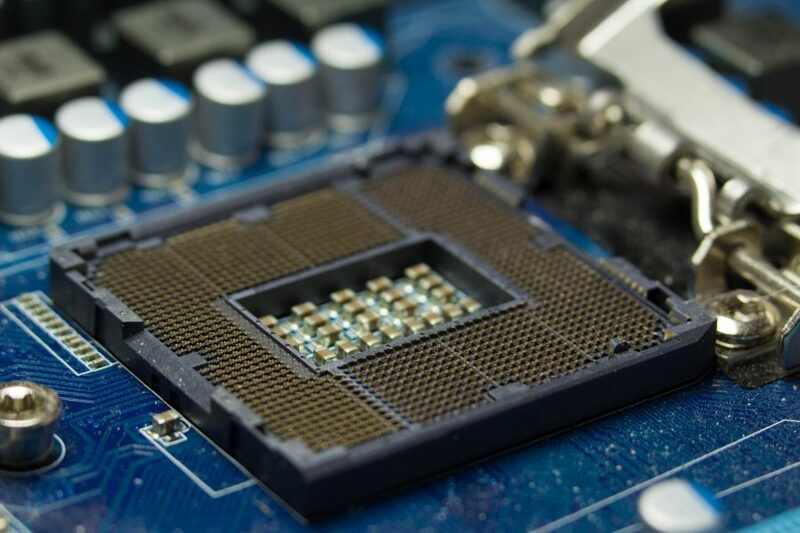 CPUs are plenty fast for 99% of the tasks. Which may be a very good reason to look at more efficient chips. Battery lifetime of a modern MBP is approaching a full day of work. Sure, having 30 min more battery life. No no, we’re talking about more than doubling the battery life (or halving the size of the battery. A MacBook One with ARM processors could have 24 hour battery instead of the 10 or so it has now. It’s not a slight increase, it is a huge increase. Still not convinced it will happen, I suspect the rumor mongers got a tiny bit of information about apple putting ARM chips in the Macs (like the current MBP and iMac Pro) and completely misrepresented it. What you’re talking about is more than a doubling of battery runtime. To achieve that the Intel processor, as of today, would need to be consuming significantly greater than 50% of the battery. So if an Intel processor currently used 50% of system power and then you replaced it with an ARM processor that used 0% of a system’s battery (an impossibility) you’re only going to get a 50% saving. I think someone’s math is way off! I don’t see Apple denying it either. There are ARM laptops right now with 20+ hour battery life. 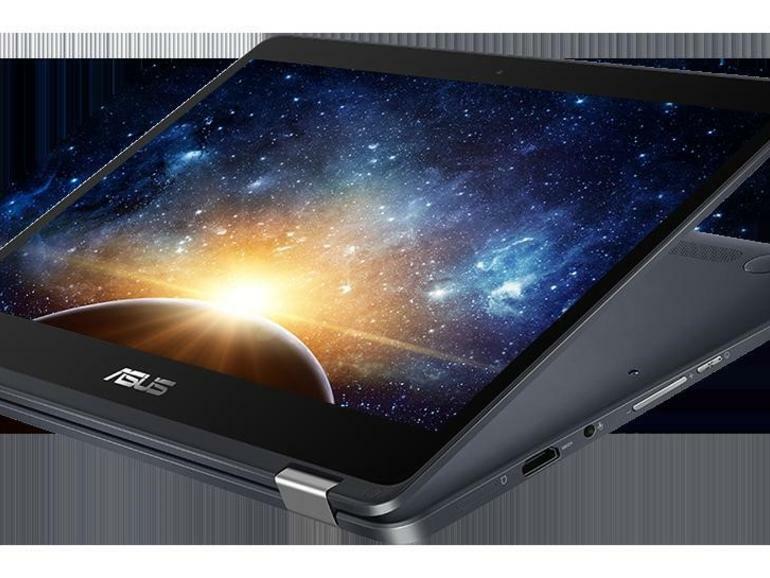 The Windows 10 laptops will use hardware typically found in mobile phones, the ARM-based Qualcomm Snapdragon 835 chipset, to bring the always-on connectivity and longer battery life of smartphones to laptops. Sure. But that’s akin to saying (and I know I exaggerate here) there are 60+mpg cars out there today so there’s no reason Cadillac can’t do the same with an Escalade by swapping out the motor for a hybrid. As a MacBook stands, Apple needs to replace significantly more than just the processor to attain a 20+ hour runtime. Some serious compromises with the rest of the computer’s sub-system needs to be made, and if Apple were prepared to make them, they would have already done it. I would think less than half of the required energy savings will come from a swap to ARM. To reiterate, if the Intel processor uses 50% of a MacBook’s power, cutting that 50% in half by going ARM will only gain you 50% more runtime at most. Far from doubling it! But this is a number you are inventing, not a number based on any real calculations. And yes, the majority of the power draw for a laptop comes from two sources, the CPU and the display, and Displays have gotten much more energy efficient in recent years. The processor is such a massive draw that one of the ways that Apple has increased battery life is to turn the processor OFF and then batch requests so that it is drawing power only part of the time. But you can check the specs on the 20 hour ARM based laptops. Or, you can see the specs on a iPad Pro. It would take very little additional batter (and weight) in laptop terms to increase those to 20 hours, and they make quite capable laptops themselves.